For my Son's 4th birthday, I rented a bouncy slide. I rented it from a local rental store, and it set up in minutes. The kids loved it. 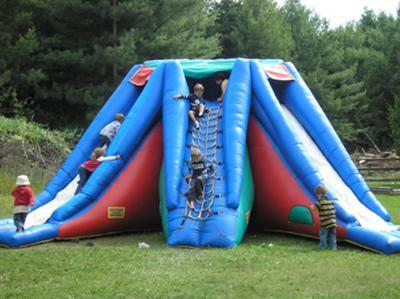 They played on it for hours and it was the best for an outdoor birthday party! My son is already asking what we're getting for next year!